Germanium has the highest index of refraction among commonly used infrared transmitting materials . It is a very popular material for systems operating in the 3-5um or 8-12um spectral region. 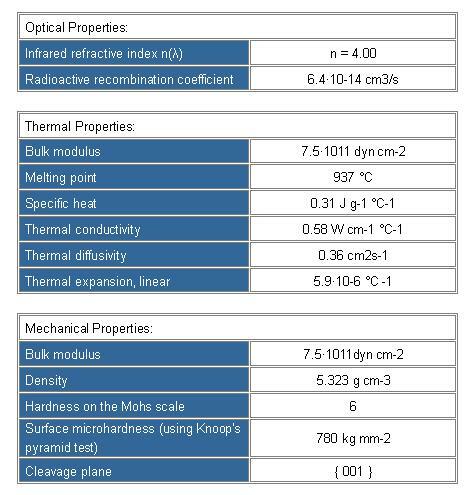 Germanium has nearly the highest density of the infrared transmitting material and this should be taken into account when designing for weight-restricted systems. Ge is subject to thermal runaway, which means that the hotter it gets, the more the absorption increases. 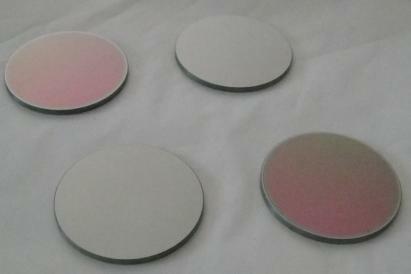 Products such as MIRRORS, LENSES, WINDOWS, PRISMS,BEAMSPLITTERS, FILTERS, WEDGES etc. are available.